There's plenty of music, art and culture headed your way over the weekend and, if you ever had a question or two about soy, you're in luck. This evening, tempt fate with a free viewing of "Little Shop of Horrors" at the Conservatory of Flowers, put your trivia knowledge to a test while supporting the SPCA, or belt out a song while celebrating show tunes at the Literary Speakeasy's third anniversary party in Hayes Valley. Drag Queen Bingo returns for its summer run at the Tenderloin Museum on Friday. Also, thrillseekers can take part in a murder mystery in Golden Gate Park or bid on local art while supporting homeless outreach efforts in SoMa. 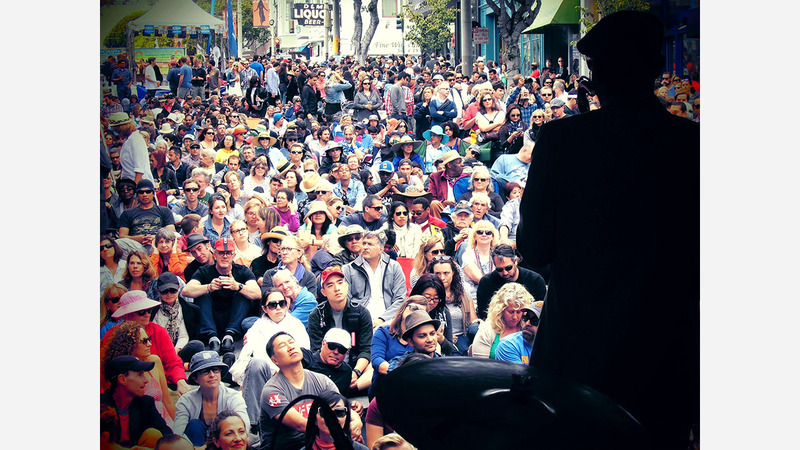 On Saturday, get out early to enjoy the free music and 12 blocks of local crafts at the Fillmore Jazz Festival, visit a historical reenactment in the Presidio to celebrate San Francisco's 242nd birthday, or learn all you ever wanted to know about soy at a Japantown tofu festival . Head into the holiday week on Sunday by taking in a brunch-themed block party in Civic Center, celebrating all things Japan with the Japan Day Festival at Peace Plaza or meet the winning fiction, nonfiction and poetry authors at the free Northern California Book Awards at the Main Public Library.